Whether you want to eat a restaurant-quality meal at home or grab pre-prepared food for a picnic, take advantage of the Saratoga restaurants below that offer takeout options. Use the additional filters to choose your desired type of cuisine! Ravenous is downtown Saratoga's only crepe restaurant. The owner of this locally-owned, chef-run business serves a wide selection of savory and sweet crepes for lunch, dinner, and weekend brunch. Carson's Woodside Tavern! Fun, friendly bar; cozy, inviting dining room, and outdoor deck featuring a spectacular view of Saratoga Lake and the Vermont mountains. Sit back, relax, enjoy the view and stay awhile! Only 7 miles from Saratoga Springs! Only minutes away from Saratoga Lake, we're the food critics' choice (4.5 out of 5 stars), offering first-rate Continental cuisine in an elegant setting. Exceptional food, great prices and friendly service will keep you coming again and again. 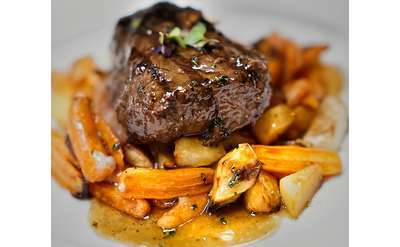 Experience the very best in French cuisine and fine dining at Chez Pierre Restaurant, conveniently located on Route 9 in Wilton NY, just minutes north from downtown Saratoga Springs. Classic dishes are brought up to a whole new level at Prime at Saratoga National. Contemporary meals are created from exceptional ingredients to bring you unbelievable flavor combinations and unique tastes you've never experienced at a restaurant. 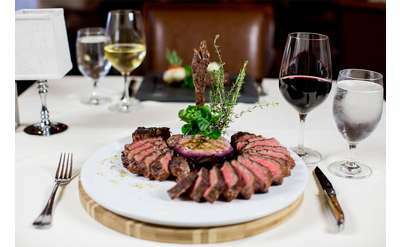 Award winning restaurant Serving the Saratoga region's finest selection of premium steaks, live lobsters, fresh seafood & wines. Stone fireplaces, a piano bar & attentive service are hallmarks of The Wishing Well. Just a short walk from the Saratoga Race Course and walking distance from Congress Park, The Brook Tavern is a favorite neighborhood gathering spot nestled at the intersection of Union and Nelson Ave., right in the heart of historic Saratoga Springs. At Harvey's Restaurant and Bar, we are proud to be at the forefront of hospitality in the downtown Saratoga region! With a wistful affection of the past, Nostalgia brings you back in time with their atmosphere, music, bar, and menu. 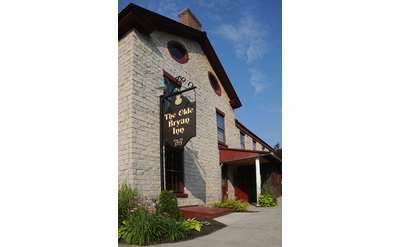 Views overlooking the lake, fire rings in summer and winter, daily specials, OPEN ALL YEAR and NOW SERVING LIQUOR! Enjoy an incredible delicious brunch in the heart of downtown Saratoga at Farmers Hardware. 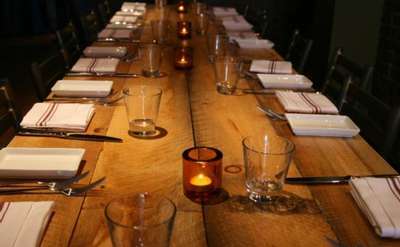 The restaurant offers spectacular cuisine and extraordinary drinks inside a historic 1925 brick warehouse. You'll have a tough time choosing from their menu! Whether you're looking for a relaxed meal or a night of fun and excitement, you'll want to come to O'Toole's. We've got the best food, drinks and entertainment in the area! Come on in and experience dining at it's best. We look forward to seeing you. For excellent food and delicious drinks in a comfortable setting, come have a seat at SALT: American Bistro & Wine Bar in Broadalbin, NY! This restaurant specializes in New American dishes expertly prepared by their culinary team. Moby Rick's Seafood is a family-owned and operated fish and seafood market located on Lake Avenue in Saratoga Springs. 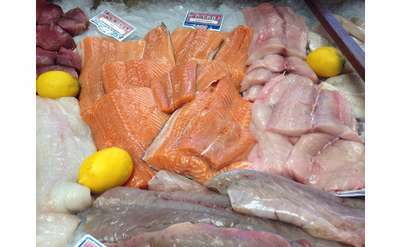 Their mission is to provide customers in the area with truly fresh and sustainable fish and seafood. 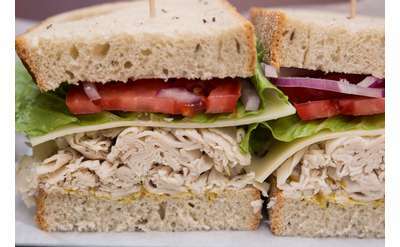 Are you looking for a neighborhood market and deli with that classic home town feel? Make your way to Saratoga Five Points And Deli for amazing food and a friendly atmosphere! Two of Jersey City's finest food trucks combined to create Kraverie, a new restaurant experience. 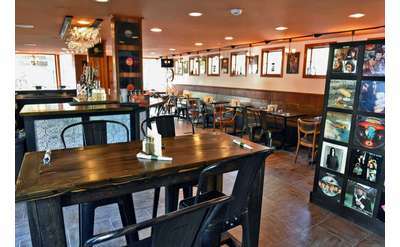 Craft Beer Specialties on 15 taps, Saratoga's only Korean BBQ. Enjoy their unique fare in the Beekman Street Arts District of Saratoga Springs, NY. 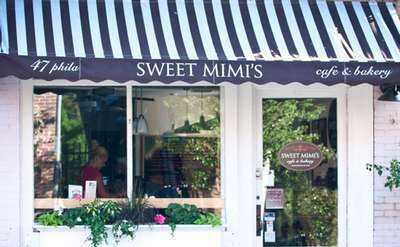 Located in the historic Cafe Lena Building just off Broadway, Sweet Mimi's serves a fabulous brunch and lunch specials all day. 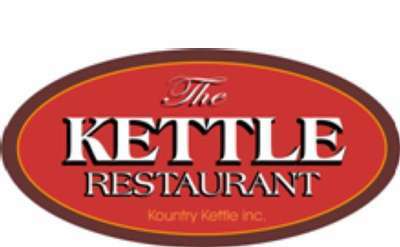 It is a great place to catch up with family & friends over a terrific meal or a rich cup of coffee. 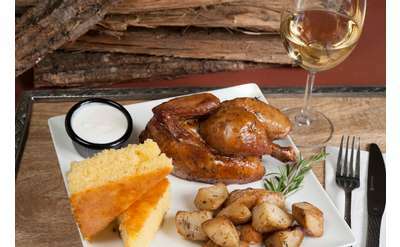 Dizzy Chicken Woodfired Rotisserie in downtown Saratoga serves up barbecue with a twist alongside classic sides like coleslaw, mac & cheese and more. 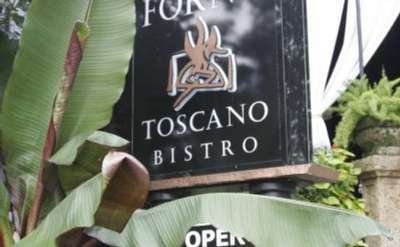 Try their panini served on housemade focaccia. Dizzy Chicken offers a full bar and live music. 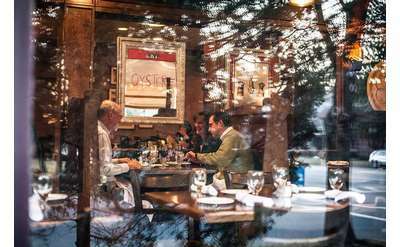 Situated in the heart of beautiful downtown Saratoga Springs, Chianti Il Ristorante serves sophisticated, authentic Northern Italian fare in an elegant setting. Head over to Saratoga's Broadway Deli for Saratoga's first ever Jewish deli, boasting a unique selection of classic delicatessen fare in the heart of the Spa City. 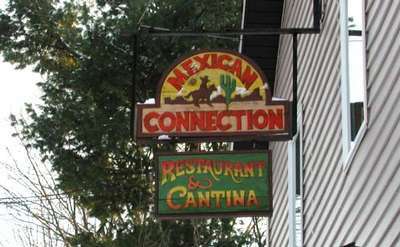 Come discover why our casual dining venue in Saratoga Springs is so popular among locals and visitors alike. 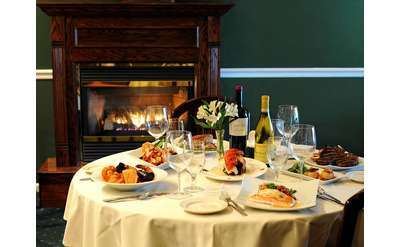 Affordable, excellent food and a great atmosphere make The Olde Bryan Inn the perfect place to enjoy a leisurely lunch or romantic dinner. 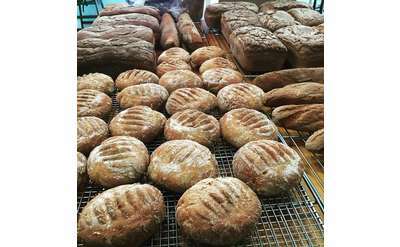 Saratoga Gluten Free Goods is a small-batch, gluten free bakery specializing in gluten free breads, rolls, and a wide variety of delectable desserts and other baked goods. All of the great products are prepared in a dedicated gluten free environment. 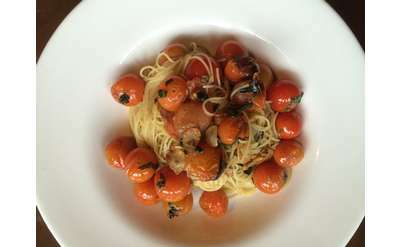 The highlight of Wheatfields' menu is their fresh pasta made right on-site using local ingredients. 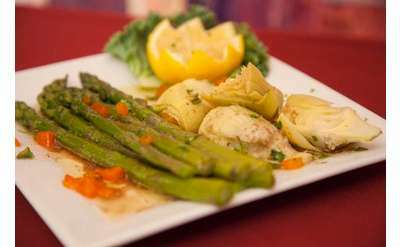 Their menu includes dozens of other enticing dishes, including woodstone pizza, salads, and starters. 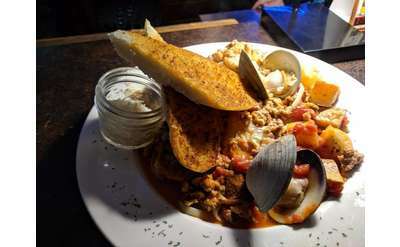 Enjoy hearty comfort food at Comfort Kitchen in Downtown Saratoga Springs. 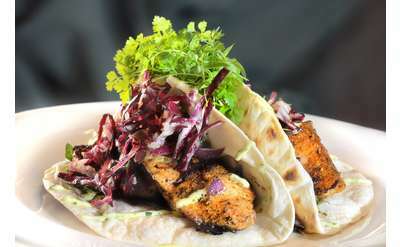 Their menu features locally-sourced ingredients and changes seasonally. 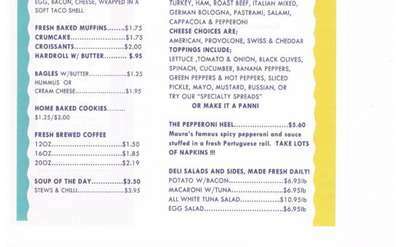 Items include salads, sandwiches, pasta dishes, burgers, and tacos. Enjoy Kabab Masala's lunch or dinner buffet, or order your favorite Indian and Pakistani food to go! Located in Clifton Park, Kabab Masala is a great spot to stop for a quick and tasty bite. 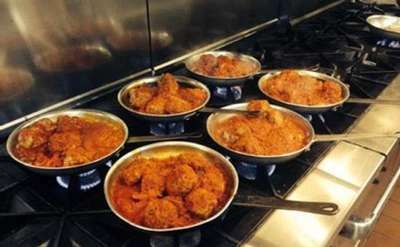 Family-run Italian restaurant in Saratoga Springs serving hand-tossed gourmet pizzas and homemade Italian dishes.